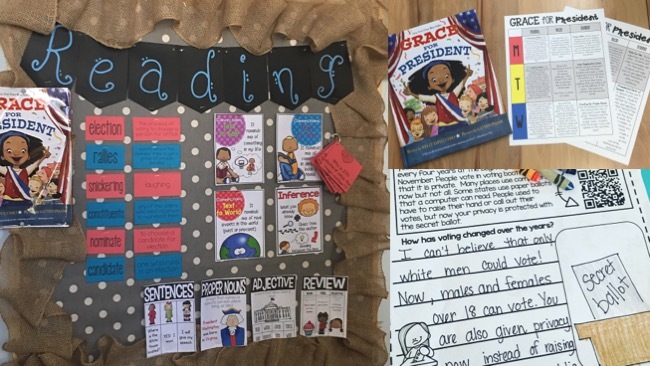 Amy and I always get requests for more Rooted in Reading units, especially ones that can be taught in addition to any district-required curriculums. 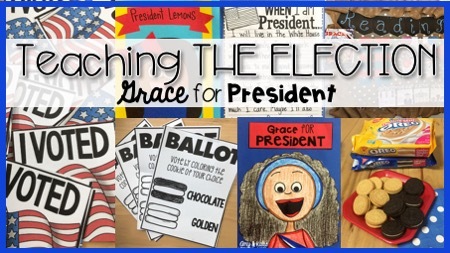 We thought Grace for President was the perfect book to use with students to teach the upcoming election. Amy and I brainstormed how to throw a Mock Election in the primary grade levels that would allow all students to participate. We decided to use Oreos! 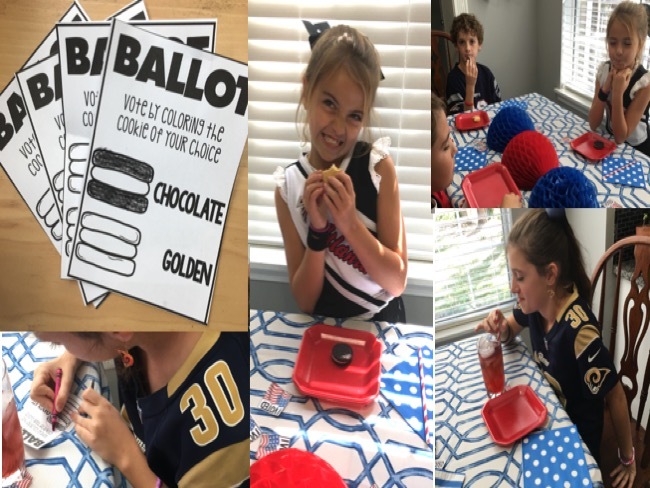 My kids and some friends gave the election a try and it was all thumbs up! You can grab this freebie by clicking on the picture below. They also broke out my personal favorite puzzle- the Melissa and Doug Presidents puzzle! Such a fantastic way for kids to see influential leaders from history. You can find the puzzle from Melissa and Doug HERE. 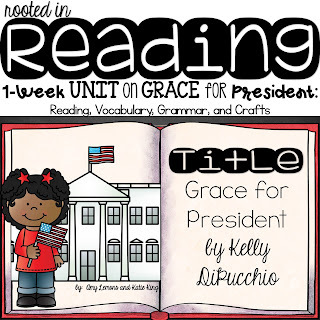 There are some great presidents books that you can have available for students or to use during Read Aloud. Here are some below! 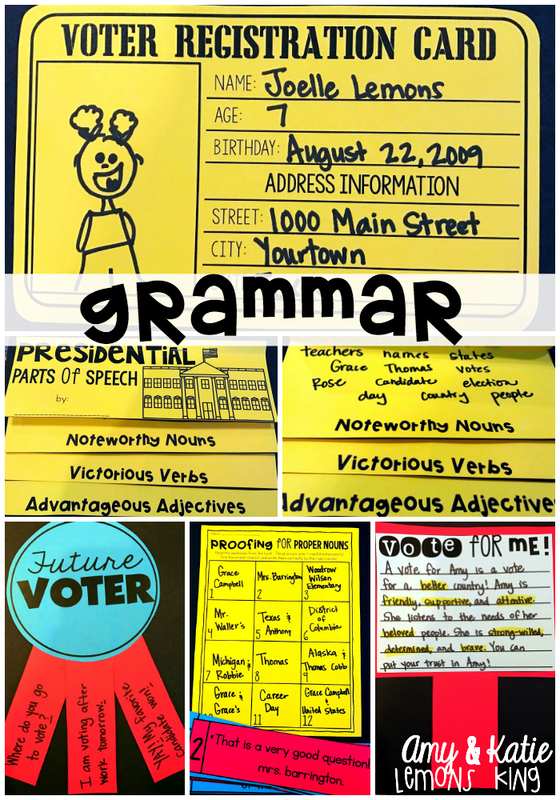 As with all of our Rooted in Reading units, there are detailed lesson plans that cover comprehension, vocabulary, and grammar. 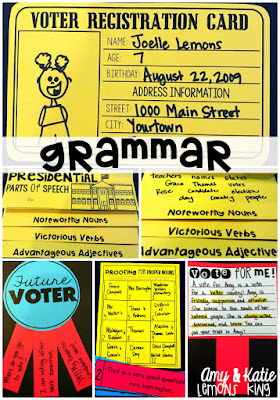 You will find tons of anchor charts to teach the comprehension skills as well as grammar. 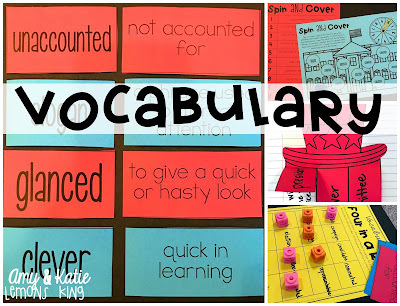 In the picture above you see how I would display these charts along with the vocabulary words and definitions. There is also to reading passages to use with your class. On the informational passage there is a QR code that leads to a School House Rock video. My favorite!!! One of the main reasons that I LOVE putting the QR code on there is that I feel like it helps communicate with parents. Kids can easily use their parents phone to pull up the video and it might spark a great conversation at home. Don't have access to iPads in your classroom? Then show the two minute video whole group! No problem! Amy included some awesome and NEW vocabulary exercises for our kiddos this unit! I think your students will really enjoy learning this vocabulary and I am almost certain that they will bring the words up to their parents at home when hearing election talk! And as always we have a craft and a directed drawing to display along side all the hard work! 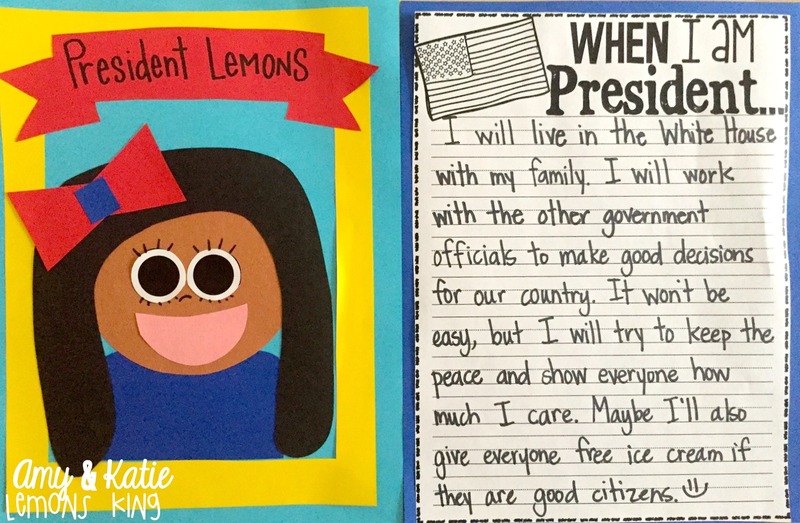 I love hearing what the students will change when they are president! And believe or not there is still a lot in this unit that I didn't show! You can check the whole unit out in Amy's store by clicking on the picture below. I hope you have a wonderful week! I just LOVE Halloween. Like I start thinking about it in early August when it is smoldering hot here in Charleston. The big kids, Nash and Emmie, are getting to the age where they don't really want me to help with costumes, SAD FACE. Oh well, at least I have Smith to manipulate! 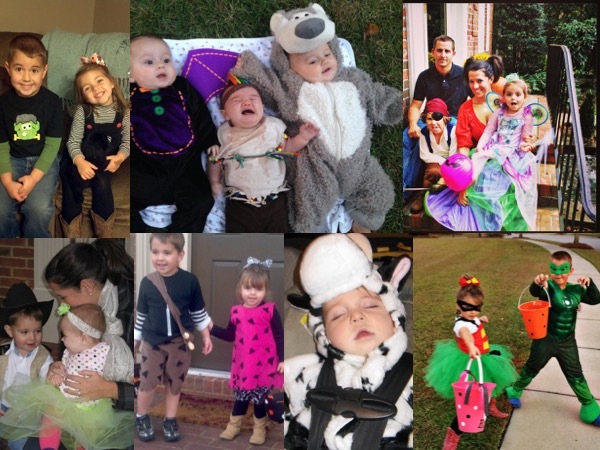 Here is a fun little collage that I made really quickly from Halloweens past. One of the reasons that I love Halloween so much besides the fun costumes and the yummy candy, is the BOOKS! Seriously! Some of the cutest books are Halloween related! 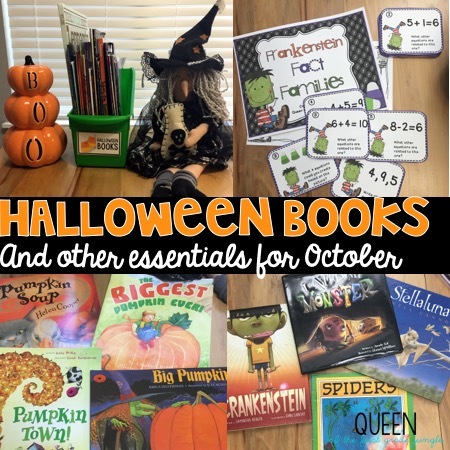 Amy and I utilized four of our absolute favorites in our October Rooted in Reading. You can find those lesson plans HERE. I also pulled out a few favorites to show you. This book could really be used any time, but I used it along side I Need My Monster last year. It is just the cutest, and of course- Mo Willems is always a must buy. I have tapes/cds for all four of these pumpkin books and they are always a hit in the listening center. I do have to say that Big Pumpkin is the BEST. Before I found Crankenstein a couple of years ago, I created this Frankenstein freebie to use with my first graders. I felt like they were already fact family rockstars, but that they needed some extra practice with all kinds of different language associated with fact families. In other words- test taking skills. They needed to be able to answer a range of questions and not get stumped by semantics. This freebie does just that! Click on any of the pictures to head to my TPT store. 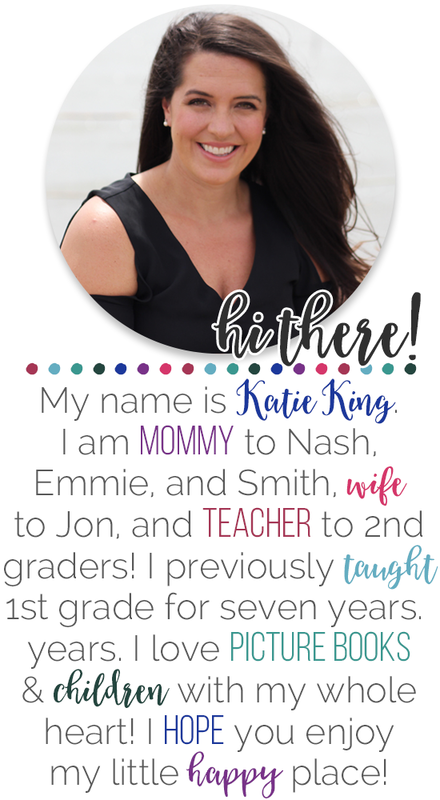 Don't forget to follow my TPT store so that you can be notified when I add new freebies! Besides Rooted in Reading, my Busy Teacher packets are always what people thank me for when I get to meet readers in person. This weekend one of my friends shared with me that she used my unit to get her Sub Tub ready and how good it made her feel to be prepared if her little one was to get sick. 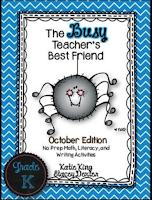 I have used Busy Teachers as morning work, homework, sub plans, OR just that "one more" activity that I needed. 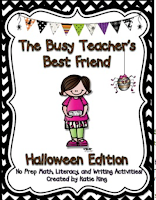 I decided to give you a closer look into my October Busy Teacher Units! Race to the Top is such a fun way to practice math fluency. I would turn on KidzBop to drown out the sound of the dice hitting the desk and watched my kids have fun as they worked! Cara from The First Grade Parade shared about these tiny spiders on Instagram. I found them in the party section at Walmart and they were called "Spider Confetti." They would be a great manipulative to children that were not secure with mentally calculating the subtraction problems on the above page. Oh goodness, my kiddos love a spinner game! I felt like this is an incredibly difficult skill for 2nd graders, especially when crossing over that 100 threshold. Obviously the stronger their number sense, the more confident they will feel with this exercise. To differentiate, try providing whiteboards or place value blocks for struggling students. "Expanded Form" is a term that I always circle back to over and over again. We want to make sure that skill is strong before the end of the year! I don't know what it is about Compound words, but I just love teaching them. This exercise is a great way to not only reinforce the concept of a compound word, but to also see who is hearing all the way through multiple syllable words. My second graders were pretty secure with syllables, but there is nothing wrong with a little extra practice to make sure! This is a relatively quick activity so it could be used for an assessment piece. I also LOVE the check off boxes at the bottom that require students to assess their own writing. My Read it! Draw it! exercises are a great way to check comprehension. I also love giving kids an opportunity to draw. 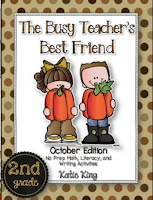 In every Busy Teacher packet, I provided writing pages for popular themes in that month. This paper asked students to explain how to carve a pumpkin. A little tip- have students highlight or circle the Time Order words to show their understanding of using them! This last sheet might be one of my favorites in the pack. I love the open-endedness of letting the students decided where the "story" is going. I was also talking with Emmie's teacher about how important it is for second graders to work on complete, thoughtful sentences. They also need to work on a variety of sentence structures. If this is something you are interested in, click on any of the units before to find my October Busy Teachers.